Like Boggler Blogger's Facebook page by clicking the link below for more post! Why did Kattappa kill Baahubali? This has been a question lingering in the mind of people since 2015 ever since they watched Baahubali 1. As soon as the released date was announced, I knew I had to watch the film to find out how this magnum opus comes to end. Finally we find out why! To ensure my memory of Baahubali 1 was fresh in mind, I watched back the film a couple of hours before going for the Baahubali 2 show. Watching it back again with a keen eye for detail and more cinema sense, I had in mind my own prediction of how Baahubali 2 will shape up. Honestly I hoped that whatever I had predicated will be wrong and be wowed with a brand new different story line. To my disappointment, I managed to get 60-70% of Baahubali 2 right. This because in certain scenes of Baahubali 1, the director has giving heavy hints how the film would shape in the 2nd part. Take note of these few scenes and you will understand why. 1st point, Queen Mother Sivagami is shown in the flashback as a righteous and fair leader. She is wise and strong with principals and it is proved further by the fact she would crown Baahubali as king instead of her own soon because Baahubali was more keen about saving people. 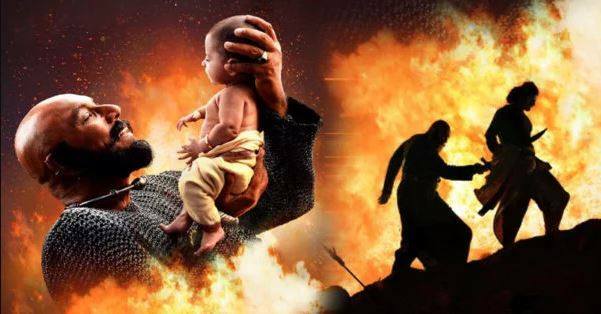 Yet in the opening scenes, before she drowns while carrying the baby, she utters something in the line of "God, you may take my life for all the sins I have done, but the baby must live and he will go back to rule the kingdom." How could someone who is so fair and just could have sin so bad that she is willing to give up her life and why the king to be son is being carried away from the kingdom. 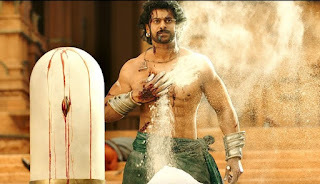 This one scene in the beginning of Bahubali 1 is so key to the second part of the film. 2nd point, Kattappa is the epitome of loyalty, his family and generations has pledge loyalty to the leader of the kingdom. You could also see in Baahubali 1 that when Bhalla Deva fights the bull, Kattapa was willing to sacrifice his life to save him to which Bhalla Deva tells him that "I can sense that you so badly want to kill me yet you are willing to sacrifice your life for me". Also in the flashback he is showed to love Baahubali very much, thus if he was really betraying King Baahubali, why doesn't he try to kill King Bhalla Deva now. This sequence also tells you very much of what might potentially happen in Baahubali 2. 3rd point, the fact that Sivagami is hunt down to death and Baahubali killed, why has Bhalla Deva kept Devasena alive all those years. Could it be she meant something important to him that he doesn't want to kill her. This also plays a key role in the second part. Having only watch Tamil films, I always thought Shankar means Grandeur. I take that back now. 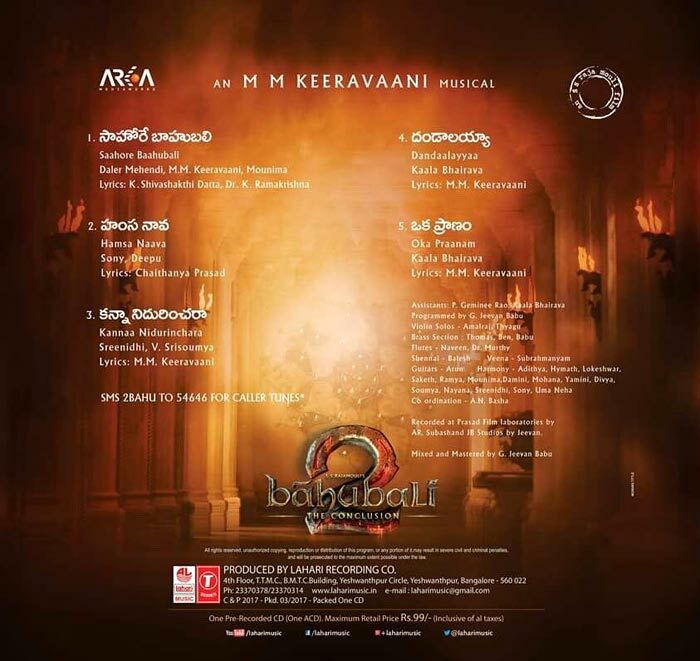 S.S Rajamouli looks to have rewritten the history books in terms of grandeur. He took 4-5 years out of his life to crave this magnum opus out and what a film it was. 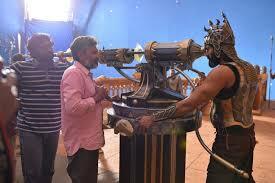 Full credit to Rajamouli sir on the way he executed the film was absolutely brilliant. He and his entire VFX team deserves maximum credit for this. Loved the way how each and every scene was crafted. His art designing team lead by the legendary Sabu Cyrill was top notch. War scenes with thousands of extras can be so hard to shoot but they kept us glued to the screen. Wonderful work Rajamouli. I was awed at the technical brilliance of the film. It goes to show what these guys are truly capable of creating when you don't set a limit to them. Some of the scenes will take your breath away. Scenes on how Baahubali defends Devasena, Devasena bold potrayal, the way Baahubali loves his mother and many more. Goosebumps! Loved the design and modulation of his character and how he got his casting perfect for the film. 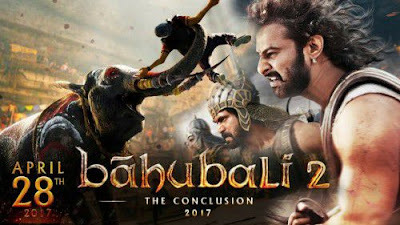 Rajamouli has set the benchmark in terms of grand film making and I hope he gets another shot to do something similar. World class! He is going to be remember forever as Baahubali without a shadow of doubt. 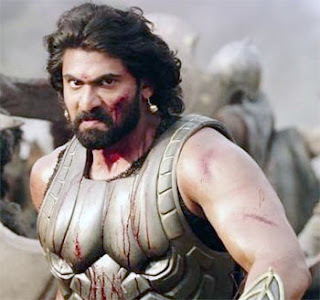 Let it be role of Mahendra Baahubali or Amerenda Baahubali, this guy was so convincing to the point I feel he is the only actor I can see playing this role. Love the way how he strikes a pose, let be the way he holds his sword, the way he sits or fights. The mannerism of a great king was so blend in to him as if he was an actual king. Loved the scenes how he tries to court Devasena, because he still had the body language of a king without looking like a king. It is hard to believe the fact that he is only 16 films old. He played the role like a veteran with ample of experience. He looked to be on par with Sathyaraj and sometimes overshadows him during the duo's screen time. To make your hero outstanding, you need a villain who can push him to the limit and refuses to go down till the very end. Not an Ammul Baby villain, but a Joker kind of Villain. Strong villain makes the hero better and I can't stress that enough. This was everything what Rana Daggubati was. He was an equal match to Baahubali, perhaps maybe even physically stronger. If anyone can take down Baahubali in a fist fight it is this man. He had to play his evilness in silence for many parts of the film but he makes you feel how his anger is growing. The grace and confidence which we saw in Neelambri is back in the form of Sivagami. So much strength and brilliance portrayed by Ramya Krishnan for this role. Let it be anger or love she plays it to perfection. She balances well the emotions of a mother and a leader. She nails it. Kattappa is another name that is going to be fondly remembered after this film. 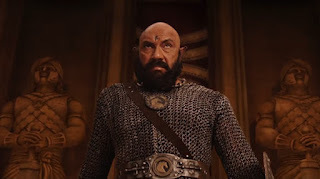 Sathyaraj brilliant performance as a loyal slave worth a mention. In some ways he has enough screen time to be considered a second hero of the film. Loved the way he plays the one liner comedies as it was a natural strength for him and tops it with his emotions of loyalty and aggresion. Finally a director managed to utilize Anushka's capabilities right. She is a vastly talented actress who has been so poorly used in Kollywood. Here she gets an opportunity to display her talent in such a solid performance so much so I feel Devasena can be an inspiration to all ladies out there. 5 reasons Why Ilayaraaja The One Man Show Was Lit AF! End your Fasting nights at Royale Chulan, Penang! © 2016 Sukesh Pandian. Simple theme. Powered by Blogger.